Claudia Moseley and Edward Shuster are collaborative conceptual artists working in sculpture and installation. 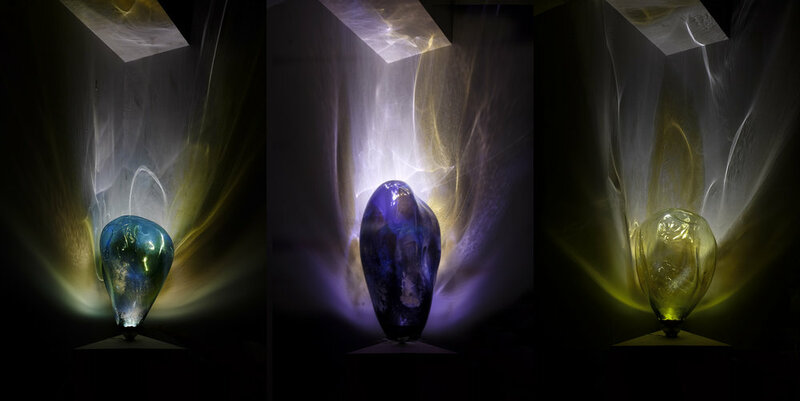 Their practice explores the nature of consciousness, embodiment and light-time; investigating the meaning of technological mediation and the instrumentation of optics and geometry. 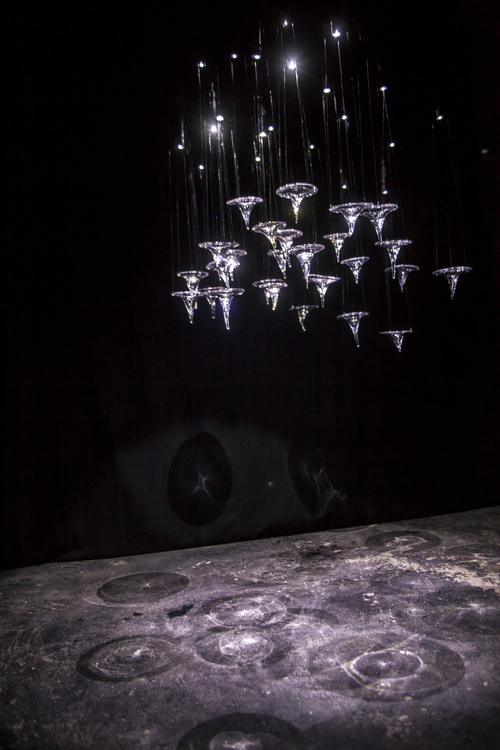 Current practice focuses on site-specific work utilizing light in interaction with transparencies, often incorporating blown and float glass elements, which are suspended to form immersive environments that resonate with their particular spatial relations. The work brings into play architectural proportions, geography, geometry and anthropology, along with the optical potentialities of natural and artificial light.